Music nerds by definition, NadaMucho.com contributors do not purport the same level of critical acumen when it comes to the moviefilms, but we love compiling a list just the same. Here are the eleven films released in 2012 that our contributors enjoyed the most. Directed by Rich Moore. Starring John C. Reilly, Jack McBrayer. We’re getting older and many of us have kids, so we watch a lot of cartoon movies. And this might be our favorite since Wall-E. Directed by Rian Johnson. Starring Joseph Gordon-Levitt, Bruce Willis. Firrst Deception and now Looper: that kid from 3rd Rock From the Sun sure does like doing movies that involve idoisyncracies in space/time travel, doesn’t he? In this one he’s an assassin sent back in time to kill himself when his contract from the mob is up. How wacky is that?! Directed by Benh Zeitlin. Starring Quvenzhané Wallis, Dwight Henry. Inspired by Hurricane Katrina holdouts with a nod to potential impacts of global warming, this festival-winner sounds like a drag on paper…but it’s really quite fantastical and enjoyable. Directed by Paul Thomas Anderson. Starring Philip Seymour Hoffman, Joaquin Phoenix, Amy Adams. Joaquin Phoenix continues to astound in this latest film from Paul Thomas Anderson (Boogie Nights, Magnolia) about a World War II veteran tyring to find his place back in the real world. Directed by Ben Affleck. Starring Ben Affleck, Bryan Cranston. Directed by Christopher Nolan. Starring Christian Bale, Tom Hardy. Hopefully this isn’t really the last of Mr. Nolan’s wonderful movies about the caped crusader. It definitely seemed like he left the door open for at least one Robin movie. Directed by Sam Mendes. Starring Daniel Craig, Javier Bardem. Skyfall has movie nerds asking “is this the best James Bond film ever?” We don’t purport to know the answer, but we did think Skyfall was a really fun movie that was hip and modern yet still respectful to the Bond institution. Directed by Quentin Tarantino. Starring Jamie Foxx, Christoph Waltz. It was aood year for the word “Django.” Wouldn’t it have been awesome if Quentin Tarantino had asked quirky British indie popsters Django Django to score this film, which is a light-hearted romp about racism and slavery in 19th century America. Fun for the whole family! 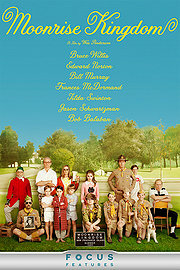 Directed by Wes Anderson. Starring Jared Gilman, Kara Hayward. Directed by Joss Whedon. Starring Robert Downey Jr., Chris Evans. As expected, Joss Whedon’s (Buffy the Vampire Slayer, Angel) direction made The Avengers one of the best superhero movies of all time. Directed by Peter Jackson. Starring Martin Freeman, Ian McKellen. 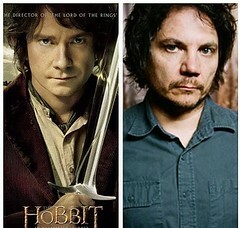 Bravo to Peter Jackson for casting Wilco frontman Jeff Tweedy in his latest J.R.R. Tolkien adaptation… wait, what’s that you say? That’s not actually Tweedy? It’s “Tim” from the British version of The Office?